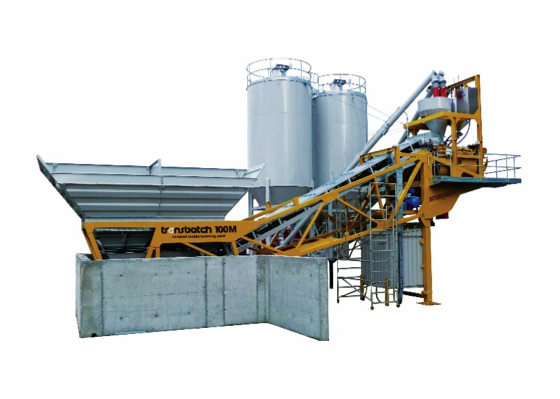 The Transbatch is a single load, fully-mobile concrete batching plant which offers outputs from 40m3/hr to 100m3/hr. With quick setup and fast mix times this makes for one of our most efficient plants to date. 4 x 10m3 aggregate bins with pneumatic discharge doors. Compact and fully mobile, folds and partly dismantles for transport. Cement, water and aggregates are all fully weighed. Automatic control system with load cells, starter panel and pneumatics panel.